2018 saw intensive EO unit overhauls. In H1, 2018, there were 11 EO units shut down for maintenance with the total capacity loss of over 1,400kt/a, and the tight market supply pushed up the EO prices. Afterwards, these units restarted from turnaround successively. Besides, the 200kt/a EO unit at Taixing Jinyan Chemical Technology is scheduled to go into operation in the middle of September. The EO supply tends to be loose, and the market players are paying attention to the future EO price trend. In recent years, the capacity and output of merchantable EO surged in China. The supply structure changed substantially, and non-state EO resources became the dominant. With the development of the EO industry, the deep-processing industry began to face many problems, such as large fluctuations in feedstock prices, low industrial profit, serious product homogenization, etc. However, a large number of key projects including the Belt and Road Initiative and the coordinated development of Beijing-Tianjin-Hebei Region, will definitely bring unprecedented opportunities for the EO derivative enterprises which are competitive and meet the safety and environmental protection requirements. SCI, with 15-year experience on EO and downstream industry chain analysis, has completed more than 30 reports of EO and downstream industries, providing detailed, comprehensive and accurate industrial data. 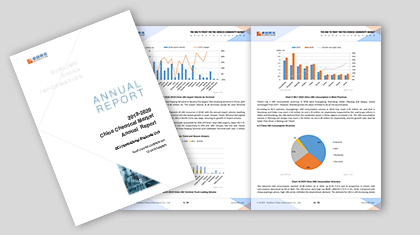 The 2018–2019 China EO Market Annual Report will analyze and forecast the complete EO industry chain from macro environment to downstream industries, helping you better understand the market trend and seize the development opportunities. 1. Show China’s EO capacity layout by analyzing the supply and demand pattern. 2. Help you get a clear picture of China’s EO production and development by presenting the EO capacity and output at the domestic producers in the past 5 years. 4. Analyze the EO price driving factors from different perspectives and objectively assess the value transmission of the EO industry chain.